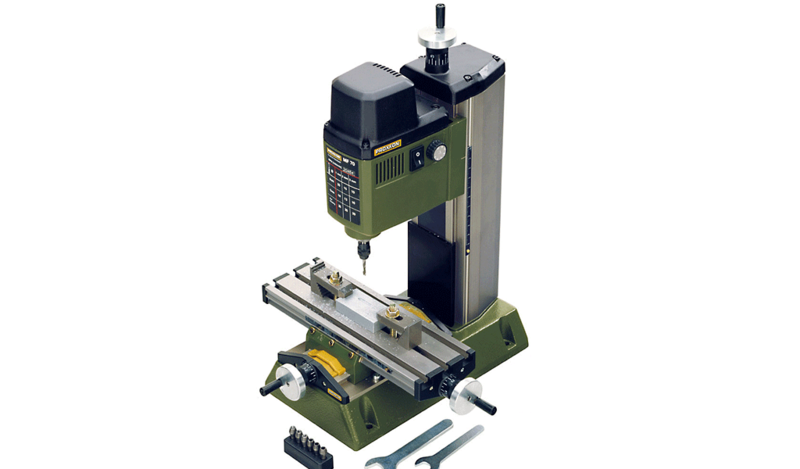 Small but excellent: the accurate milling machine for lab technicians, opticians, jewellers, electricians/model builders. Made in Europe. With two flute cutters and fishtail profile (cutting to the centre). Enables lowering into non-bored work pieces. For grey-cast iron, hardened cast iron, steel, cast steel, brass, aluminium, glass, plastic and carbon fibre. One piece each 1 - 2 and 3mm. Shaft diameter 3mm. 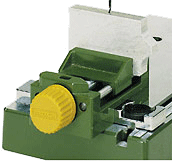 The step clamps set is supplied with the KT 70, but can also be ordered separately. 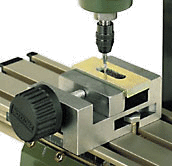 Set consists of 2 stepped blocks and clamping jaws threaded bolts, screw nuts and slot nuts of the MICROMOT standard. For work pieces up to 20mm thickness. 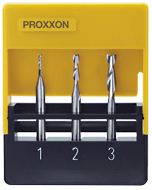 This set also fits the mill/lathe systems PD 250/E and PD 400. 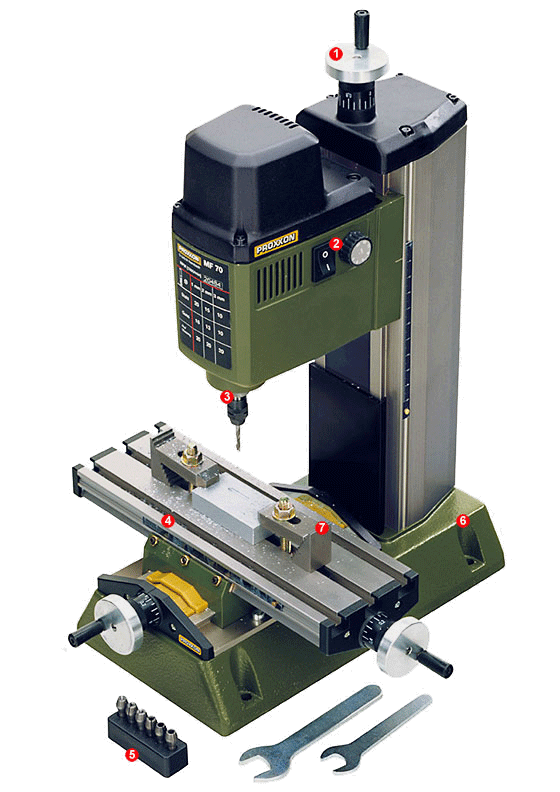 Ground in pairs For adjusting work on drilling machines, lathes and milling machines. Made of high-alloy, hardened steel (58 - 62 HRC). Parallel accuracy 0.02mm. 2 each of 8 x 10, 15, 20, 25, 30, 35 and 40mm. Length 100mm. Packed in a wooden box.